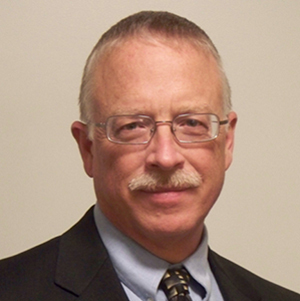 Dr. Morgan has more than 20 years of experience in operational health physics. As a graduate student he was licensed by the US Nuclear Regulatory Commission as a Senior Nuclear Reactor Operator for the TRIGA Reactor at University of California, Irvine. Trained as a radiation biologist, Dr. Morgan has conducted biomedical research in radiation biology, human cancer genetics, clinical radiation oncology and health physics. He has also taught Principles of Radiation Biology to radiation oncology residents and radiation therapy technologists in training. In 1994 Dr. Morgan was appointed Radiation Safety Officer of a large community teaching hospital in Los Angeles. In 2000, he was hired as the Radiation Safety Officer of a company that manufactured and distributed radioactive source. In this position he was responsible for employee health and safety in a manufacturing operation that handled thousands of curies of radioactivity each year. In 2003 Dr. Morgan moved to the University of Rochester where he was hired as the Radiation Safety officer for a research university and associated medical school and Level I trauma facility. In 2011 he was named Executive Director of Radiation Safety Programs and Chief Radiation Safety Officer for Columbia University, including Barnard College, NewYork Presbyterian and Allen Hospitals, New York State Psychiatric Institute, Lamont-Doherty Earth Observatory (Palisades, NY) and Nevis Laboratories (Irvington, NY). 1. E. Martin, M. Prasarn, E. Coyne, B. Giordano, T. Morgan, P-L. Westessen, J. Wright and G. Rechtine. J. Spinal Cord Med. 36: 112-117 (2013). 2. T.L. Morgan. Quality Assurance for PET and PET/CT Systems. Book review of IAEA Human Health Series No. 1. Health Phys. 103: 810-811 (2012). 3. E. Martin, M. Prasarn, E. Coyne, B. Giordano, T Morgan, P-L. Westessen, J. Wright, and G.R. Rechtine. Analysis of Radiation Exposure to the Orthopaedic Trauma Patients During Their Inpatient Hospitalization. Injury 43: 757-761 (2012). 4. B.D. Giordano, J.N. Grauer, C.P Miller, T.L. Morgan, and G.R. Rechtine II. Radiation Exposure Issues in Orthopedics. J Bone Joint Surg Am. 93: e69(1-10) (2011). 5. G.R. Rechtine II and T.L. Morgan. Comments on Radiation Exposure from Musculoskeletal Computerized Tomography Scans. Invited web commentary. J. Bone Joint Surg., 91A (Dec 2009). 6. B.D. Giordano, G.R Rechtine II, T.L. Morgan, and J.F. Baumhauer. Cervical Spine Imaging Using Mini C-Arm Fluoroscopy: Patient and Surgeon Exposure to Direct and Scatter Radiation. J. Spinal. Disord. Tech. 22: 399-403 (2009). 7. B.D. Giordano, J.F. Baumhauer, T.L. Morgan, and G.R. Rechtine II. Patient and Surgeon Radiation Exposure: Comparison of Standard and Mini-C-Arm Fluoroscopy. J. Bone & Joint Surgery 91: 297-304(2009). 8. B.D. Giordano, G.R. Rechtine II, T.L. Morgan. Minimally invasive surgery and radiation exposure (letter to the editor). J. Neurosurg: Spine 11: 375-376(2009). 9. B.D. Giordano, J.F. Baumhauer, T.L. Morgan, and G.R Rechtine II. Cervical Spine Imaging Using C-Arm Fluoroscopy: Surgeon Exposure to Direct and Scatter Radiation. Spine 33: 1970-1976 (2008). 10. R.M. Yang, T. Morgan, and G.C. Bellman. Radiation Protection During Percutaneous Nephrolithotomy: A New Urologic Surgery Radiation Shield. J. Endourology 16: 727-731 (2004). 11. S. Iganej, R. Kagan, P. Anderson, A. Rao, M. Tome, R. Wang, M. Dowlatshahi, H. Cosmatos, and T. Morgan. Metastatic squamous cell carcinoma of the neck from an unknown primary: management options and patterns of relapse. Head & Neck 24: 236-246 (2002). 12. M. Dowlatshahi, S. Iganej, A. Ciabatone, A. Peddada, M. Miller, M. Tome, A. Rao, M. Ryoo, G. Becker, M. McNicoll, T. Morgan, J. Ryoo and R. Kagan. Uninterrupted moderately accelerated radiotherapy in the treatment of unresectable/advanced head and neck cancer: one institution’s experience and a comparative analysis. Am. J. Clin. Oncol. 23: 149-154 (2000). 13. T.L. Morgan. Radiation safety aspects of emergency surgery on patients containing high levels of radioactive materials. RSO Magazine 5: 19-22 (2000). 14. T.L. Morgan. Elements of an Effective Radiation Safety Program. RSO Magazine 5: 20-21 (2000).